The author, Becky Childs (aka nissangirl74), is the Business Manager for NICOclub.com. Welcome to the 2012 Battle of the Compact Cars! In this multi part series, I will test drive several different cars in the Compact category and give you an honest review on which car is the best when it comes to purchase price, fuel economy, and all of the goodies manufacturers are throwing in at no extra charge. Read on to see who is offering you the most horsepower, bluetooth connectivity, cruise control, A/C, and navigation for your money. 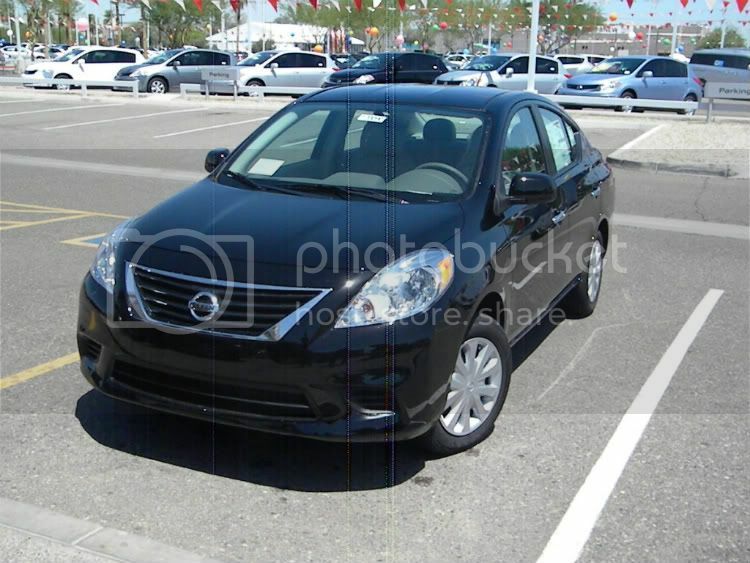 The first car on the list is the 2012 Nissan Versa. Nissan offers the Versa in 3 trim levels: the S, SV, and SL. The S already holds the distinction of being the cheapest car offered in the US market for 2012 with an MSRP of $10,990. While the model I drove was the SV, I think it’s important to list some of the options that are standard on the base model. For $10,990, you get a trip computer, A/C, tilt steering, a 12 volt DC power outlet, an AM/FM/CD radio with an auxilary jack, and a 5-spd manual transmission option. The SV model that I drove starts at $14,560 and the SL model starts at $15,560. Please note that these pricing numbers are from the Nissan website and do not include any dealer costs or destination fees. As soon as I sat down in the car, I realized where the cuts had been made in order to make this car as affordable as possible. However, none of them were deal-breakers. There were only two things that truly bugged me; the cheap plastic door panels and the fact that there were no center armrests. The dash and gauges are both quite similar to the Cube. Very user-friendly in both placement and function. 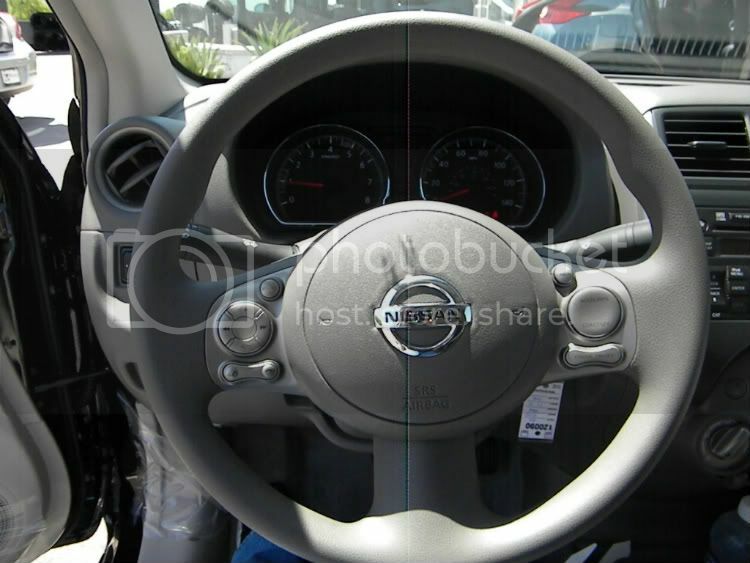 The steering wheel controls for the cruise control and the audio are always a nice touch. The SV and SL models also offer an upgraded trip computer which monitors average mpg, current mpg, distance to empty, and service interval. 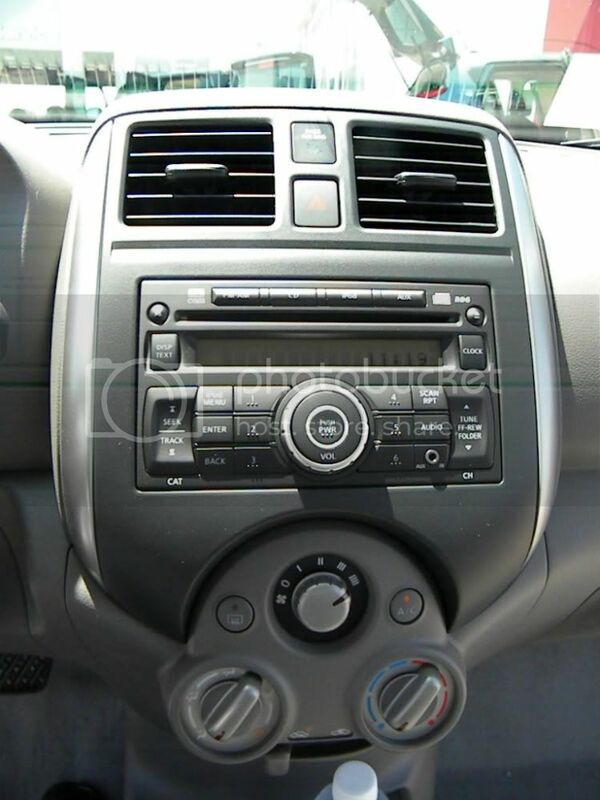 Other amenities include remote keyless entry and four speakers for the stereo instead of just two. The seats were OK but not great. I noticed this while driving less than 5 miles round trip so I’m guessing this would probably not be the an ideal road trip vehicle. The test drive in itself was pretty calm. There is really no point in pushing a car with only 109 hp to its limits because that isn’t what this car was built for. The 1.6 DOHC engine does fine on the main roads but it is kind of scary when trying to build up speed on a freeway onramp, especially when it is paired with the CVT transmission. I was coming up the ramp at 4500 rpm trying to reach at least 45 mph. I’m hoping it was only struggling because of the grade of the road. There are only two transmission options available on the Versa; the CVT on all models and a 5-spd manual on the base model only. Hopefully I will get a chance to drive one of the manual versions and update this article with a comparison between the two. The Versa feels very similar to both the Cube and the Juke, only with less horsepower. The steering feels just a bit disconnected but the handling is very good for a car of its price range. There is some wind noise around the mirrors but nothing terribly distracting. Visibility is good out of all the windows and mirrors. The ride on the freeway seemed to be a bit harsh but I would hazard a guess that a tire upgrade would eliminate that issue. The only significant mechanical problem I had with the car was the brakes. The brake pedal needed to be adjusted because the brakes did not engage until the pedal was depressed about 50%. That was very disconcerting the first mile or so until I got used to it. 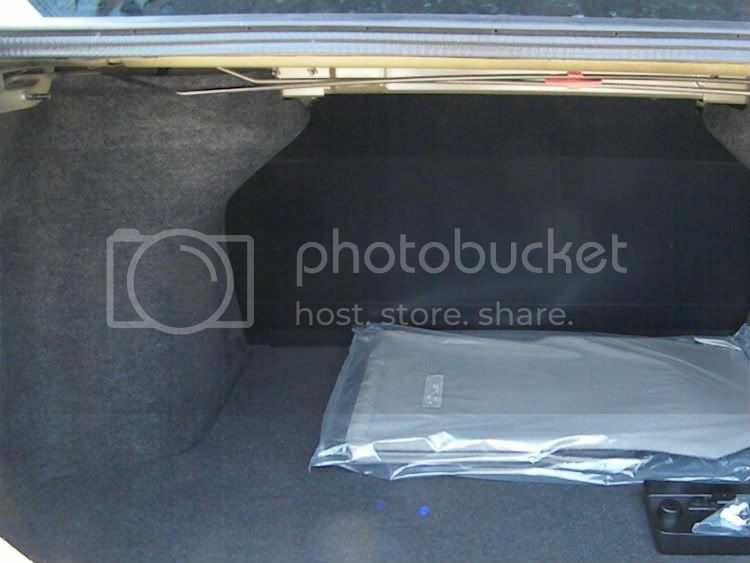 Other things of note are the huge trunk, lots of legroom for rear passengers, and a spare tire. I should mention that when Kevin sat in the back seat, his head did touch the roof. I guess I should also mention that he is 6’5″. He said legroom was comfortable. I am 5’7″ and I fit just fine. For those of you who like specific numbers, like me, here you go. For those of you who are environmentally conscious and are concerned about the impact a new vehicle has on the Earth, here are a couple of good numbers for you. 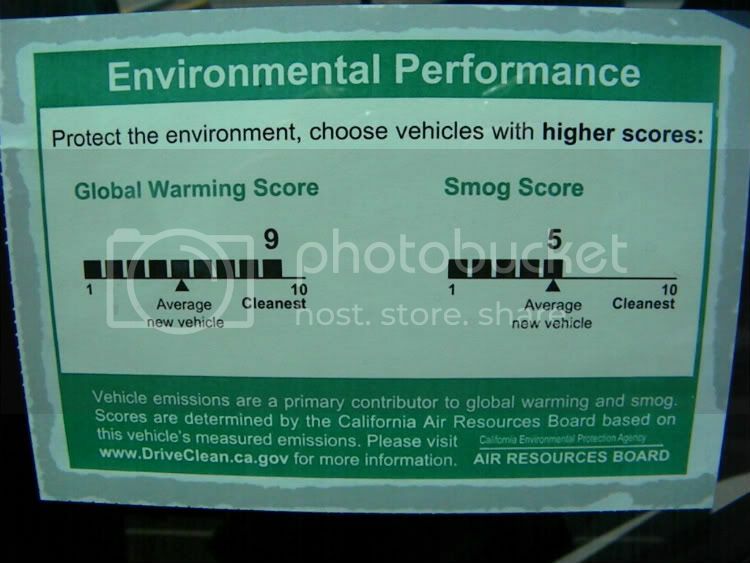 The Versa scored a 9 out of 10 on the global warming score and a 5 out of 10 on Smog control. Fuel economy on the Versa for the CVT transmission: 30/38. For the 5-spd manual transmission: 27/36. The list of safety features is too long to list here. They can be found on the Nissan Website. 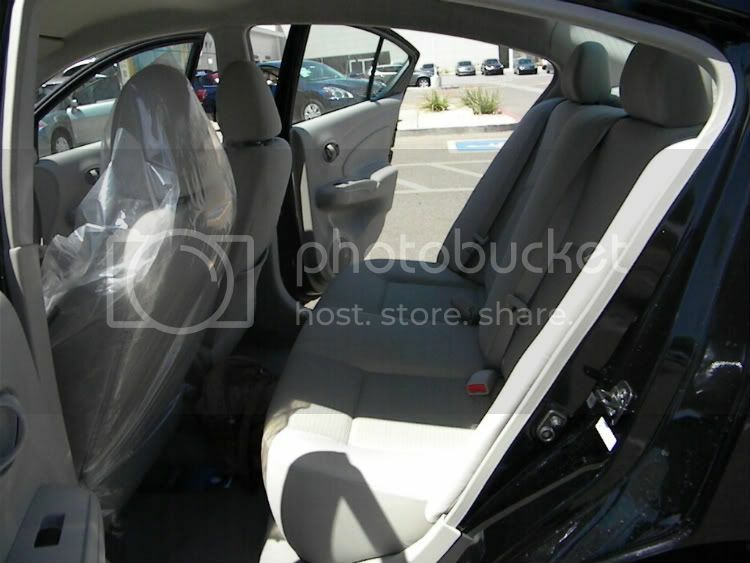 Rest assured, there are plenty of airbags and other features to ensure the driver’s and the passengers’ safety. 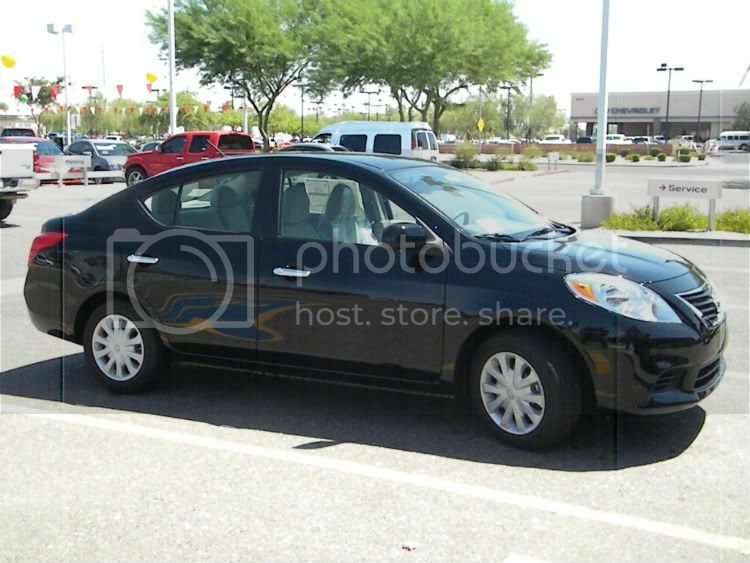 If I were to rate this car on a scale of 1-10, based on price and value for the dollar, I would have to give the Versa an 8.5. The only significant complaints I had were the door panels, the brake pedal, and the lack of power. The only one of those that would be an actual concern would be the brake pedal and as I mentioned earlier, I think that could be remedied with an easy adjustment. 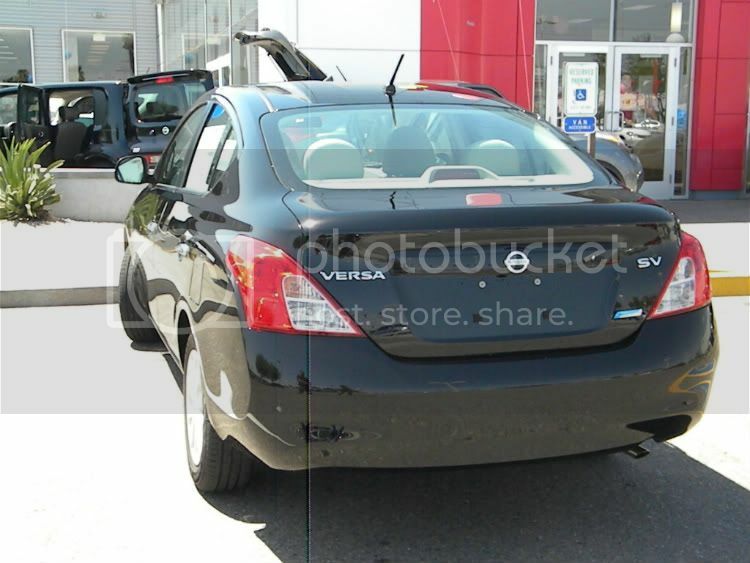 The Versa was built to be a cost effective way to get from point A to point B. It does a great job of that and thanks to the redesign, it does so with style. Thanks again to our friends Kevin Schwartz and Charlie Cashen at Peoria Nissan for letting me test drive the car!